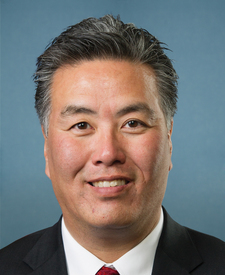 Rep. Mark Takano was elected to represent California’s 41st Congressional District in 2012. His commitment to social justice can be traced back to his parents’ and grandparents’ internment in Japanese American Internment Camps during World War II. Prior to his election to Congress, Takano worked as a teacher and served on the Riverside Community College District’s Board of Trustees. One of the few openly gay members of Congress, he serves as co-chair of the LGBT Equality Caucus and has been a passionate advocate for equal rights for all and college affordability. Rep. Takano serves on the House Education and Labor Committee, and serves as Chairman of the House Veterans Affairs Committee. © Bend the Arc Jewish Action PAC, All Rights Reserved.